Show your interest in receiving the State Wire newsletter, along with our other ongoing communications and special offers, by submitting the form below. It only takes a minute. Literally. 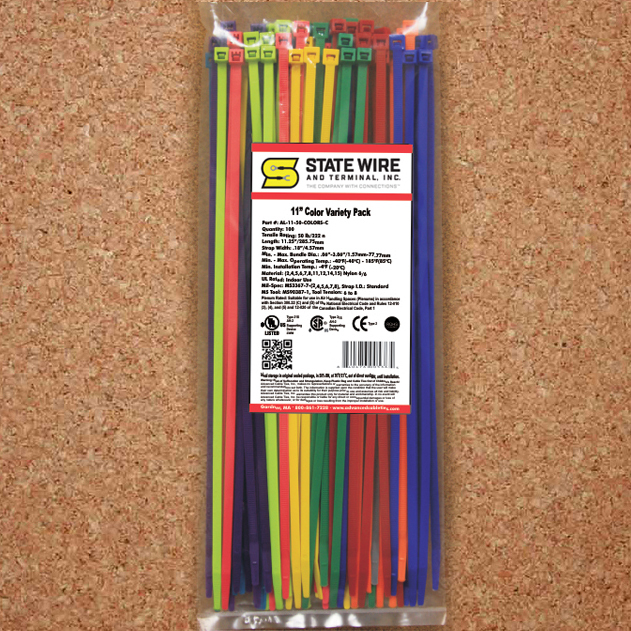 By subscribing, you will receive a special bonus: a State Wire tote bag. Thousands of repair parts at your fingertips. Simply put, we serve any business that relies on motor-power. From Hospitals and HVAC to Farms and Schools; whatever your repair needs, we have the parts. Click on an industry below to begin your search. We carry hundreds of brands, including 3M, Deutsch, Hellerman Tyton and Pollak. Stock up on the season's hottest items and enjoy tremendous savings. Contact us today for special pricing! BUY 100 • GET 100 FREE / MINIMUM ORDER OF 300PCS* *Excluding the FREE items. Can combine to reach minimum order. 100pcs per package. *Excluding the FREE items. Can combine to reach minimum order. 50pcs per package. *Excluding the FREE items. Can combine to reach minimum order. 25pcs per package. Long handles make it easier to crimp (less force required). 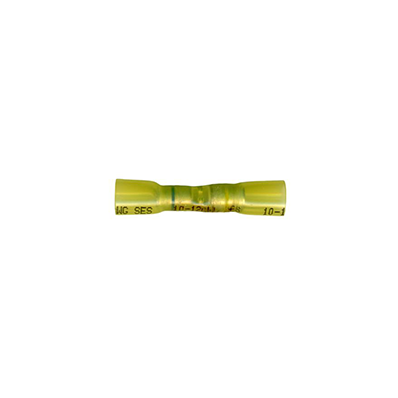 Use with the heat shrink terminals shown above to create a UL-Listed crimp. NT-B4FCT-S 4” .098” 20 lbs. NT-B7FCT-S 8” .180” 50 lbs. NT-BH7-S 8” .190” 50 lbs. 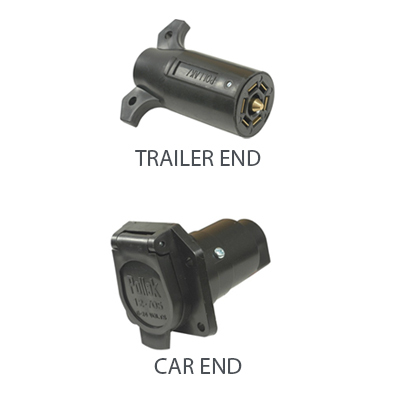 This RV electrical control eliminates rusting, poor appearance and poor performance. New design offers dual grips for ease of removal from socket, incorporates vinyl inserts to keep out dirt and moisture. Interior design prevents internal short-circuiting and safety latch prevents damage from accidental pull-away. 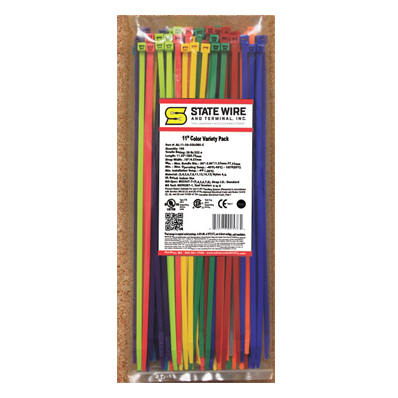 Color-coded to RVI standards and interchangeable with other RV types. Detailed instructions for both 6-way and 7-way applications. 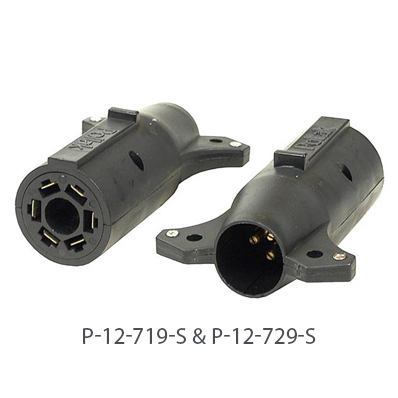 THESE SEALED SOCKETS AND ADAPTER PIGTAIL, PLUG DIRECTLY INTO YOUR FACTORY WIRING HARNESS, ELIMINATING ANY NEED FOR SPLICES. 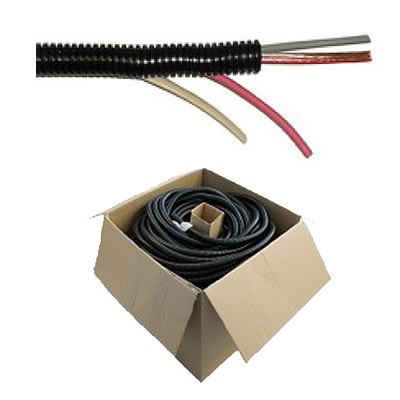 Regular trailer cables can get so stiff during cold-weather use that plugs can disconnect while towing. 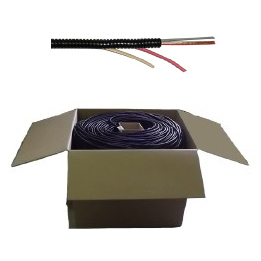 Our custom made trailer cables use heavy duty TPE insulation that keeps our cables flexible and cold rated to -60° F.
In fact, this cable is rated to –60°F. 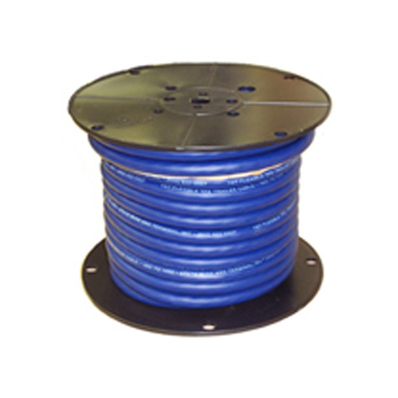 Available in 100FT & 500FT spools. 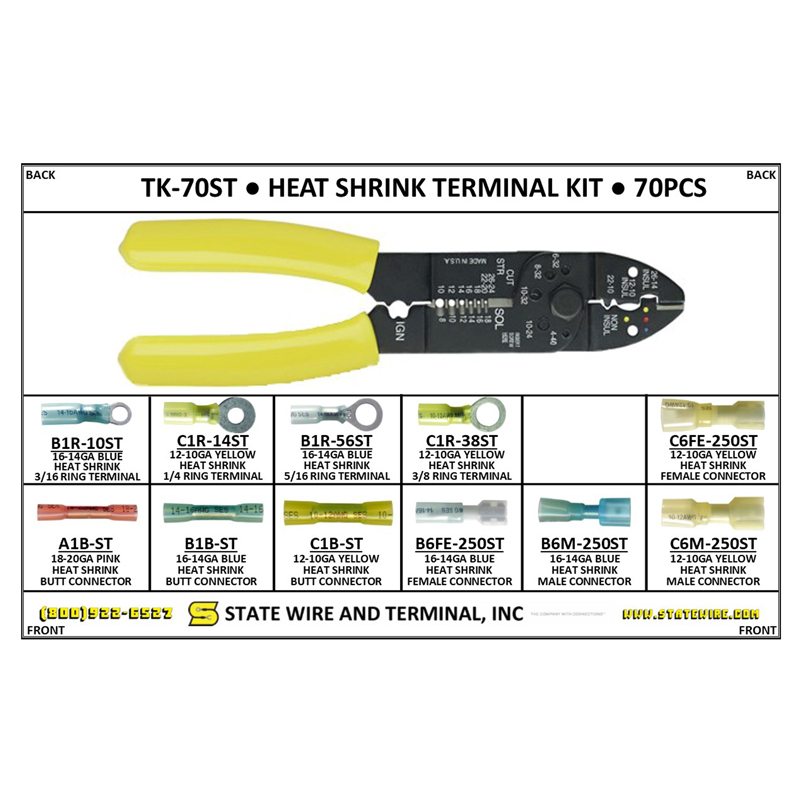 70 Piece Heat Shrink Terminal Kit with Crimper. Housed in a 13-compartment plastic box with just enough of the pieces to get started. Easy to store in glove compartment or under vehicle seat. 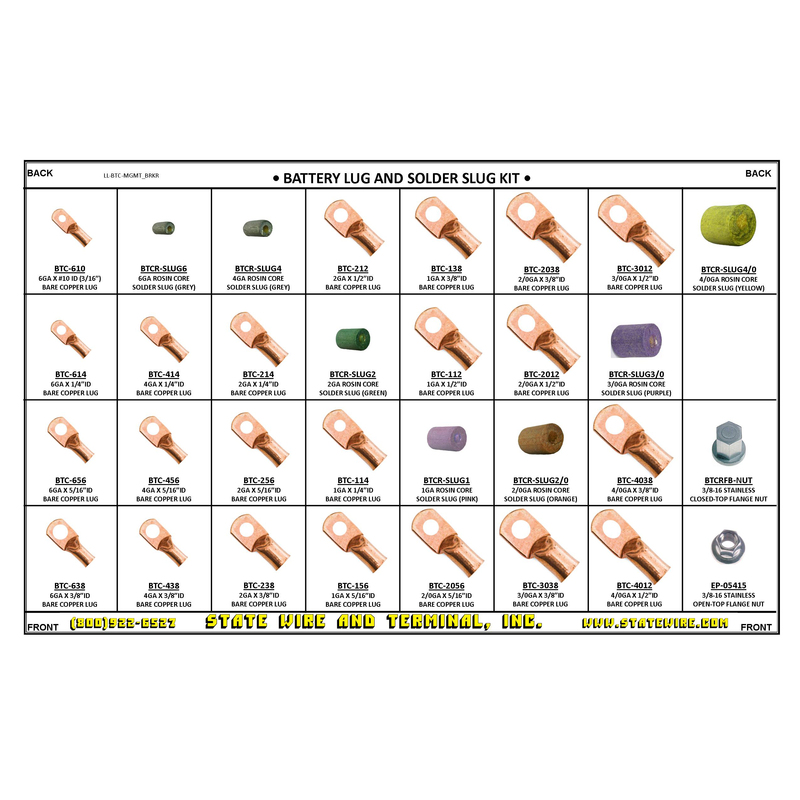 285 piece kit of the common copper battery lugs and solder slugs. Housed in a 18”x3”x12” 32 compartment metal box with latching lid. 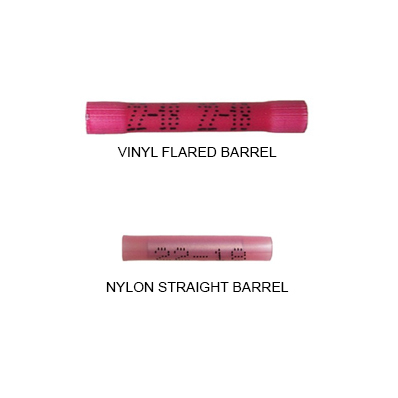 Comes with a color lid-label detailing the part numbers for easy identification. 410 piece kit of the common hitch pins. Housed in a 18”x3”x12” 24 compartment metal box with latching lid. Comes with a color lid-label detailing the part numbers for easy identification. 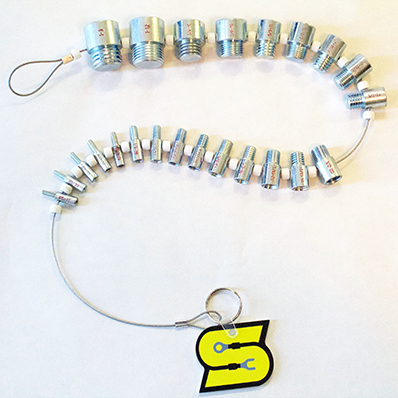 These handy tools are an accurate and easy-to-use thread verifier for both nuts and bolts. 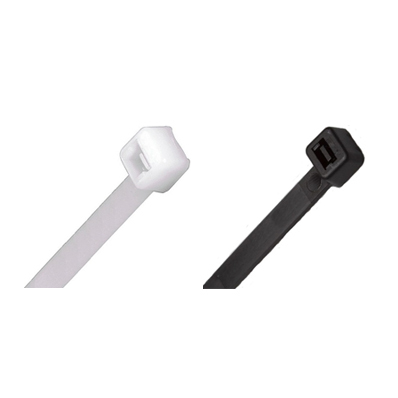 All tools are assembled on a wire loop which can be conveniently hung up for easy accessibility. 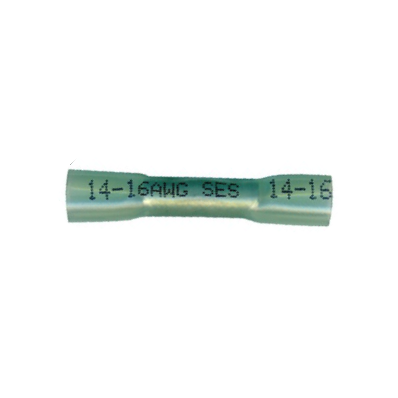 The thread sizes are permanently stamped. 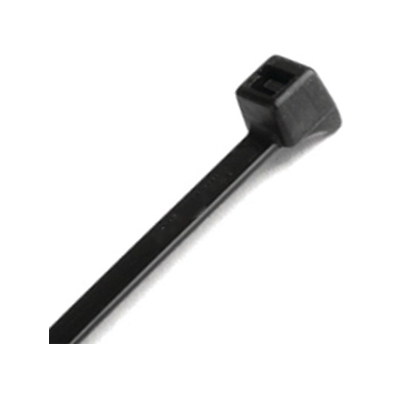 The gauges with inch sizes are clear zinc plated and metric are black oxide. Contains male and female threads. Mini Gaylord. Oversize Box: 21″ x 21″ x 23″. UPS approved. Dimensional weight applies. 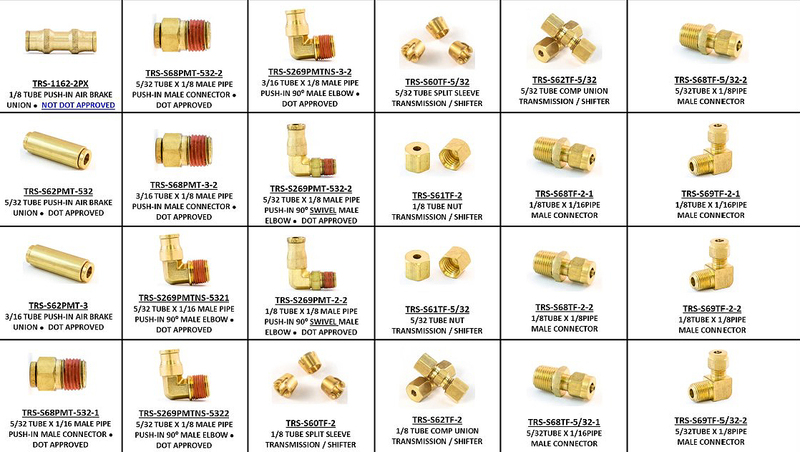 Premium brass transmission / shifter fittings kit. Nuts and sleeves in both “push-to-connect” and compression styles. 800pcs in a large 18”x3”x12” 20 compartment metal box. 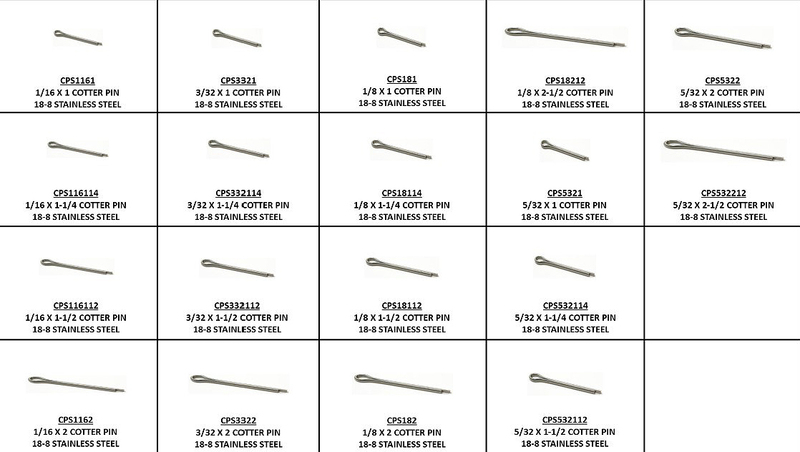 A slightly longer prong makes these stainless steel pins easy to open. Length is measured from under the head to the end of the short shank. 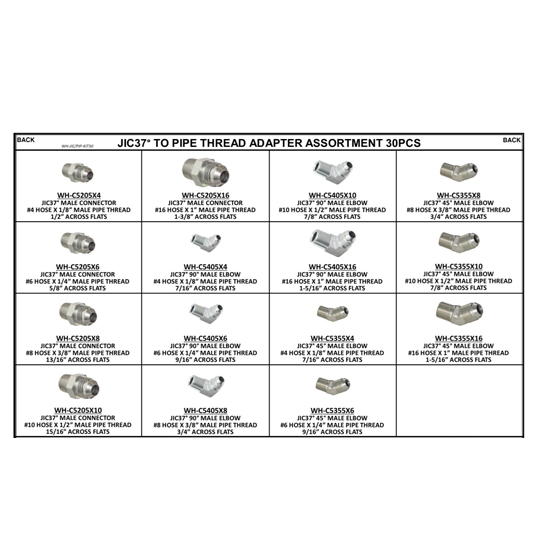 30 Piece Hydraulic Fittings Assortment. JIC37° Male Connectors, 90° Male Elbow and 45° Male Elbow. Bladelight® snow plow lamp kit. 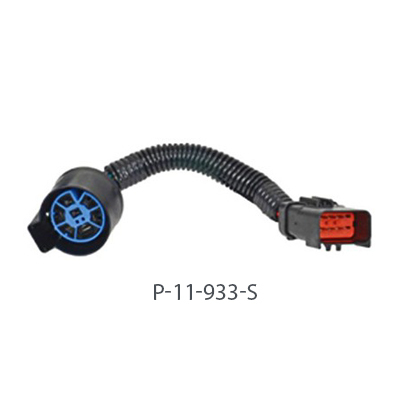 Functions as headlight and turn signal for snow removal vehicles. 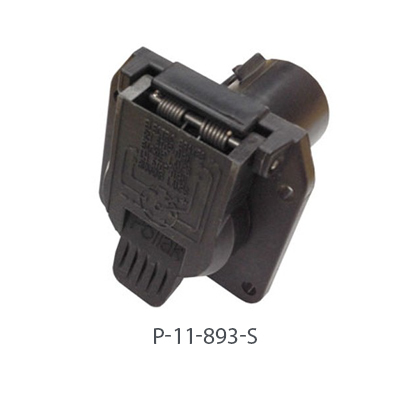 Features low-profile housing and halogen sealed beam. 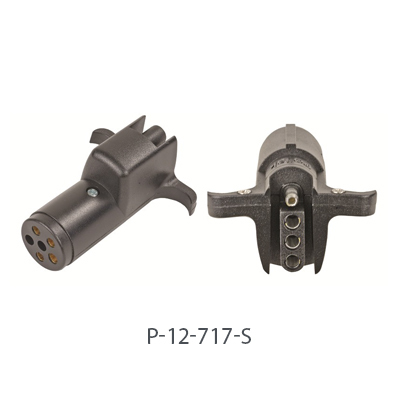 Mounts with 1/2” diameter, adjustable-ball stud. Meets FMVSS 108 requirements. 24” blunt-cut harness. Housings measure 5.25” tall, 11.75” wide and 4.75” deep. #H6545 sealed beam and #2357 parking/turn signal bulbs. 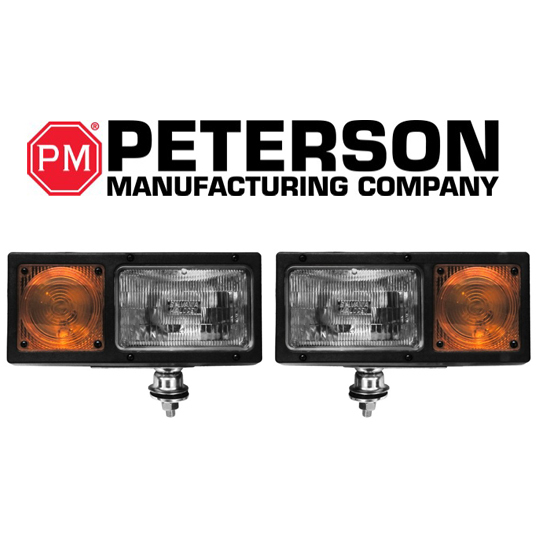 Ask your salesperson about our LED Snowplow Lights! 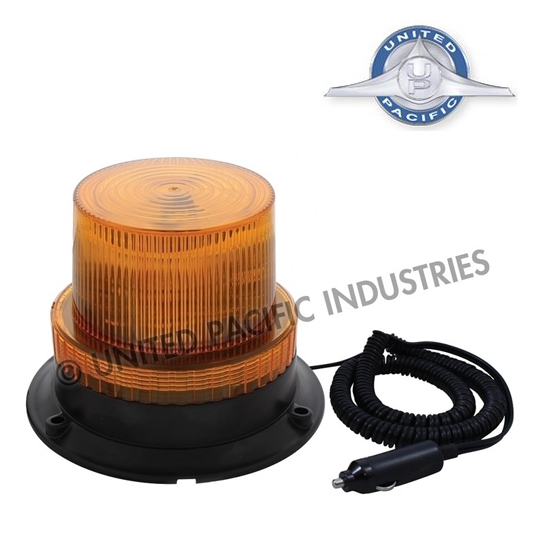 3 High Power LED Mini Strobe Beacon Light. 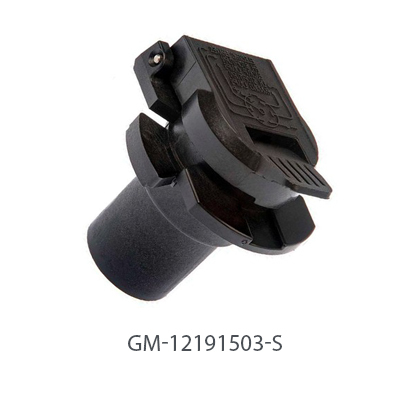 Magnet Mount. 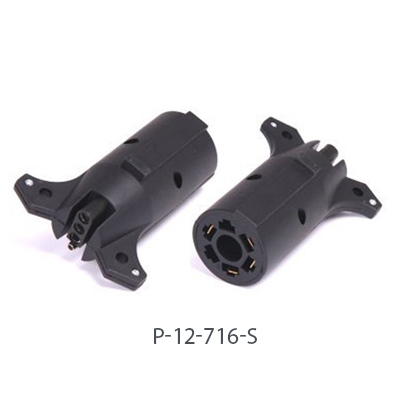 12V— 24V Application. 5 Flash Pattern. 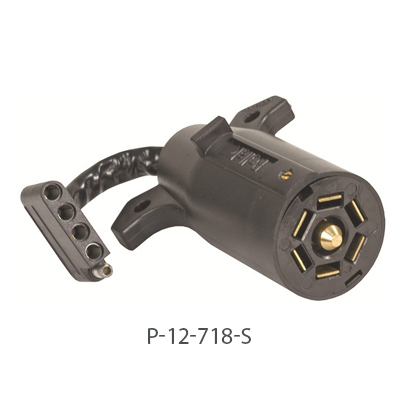 SAE J845, Class 2 Rated. 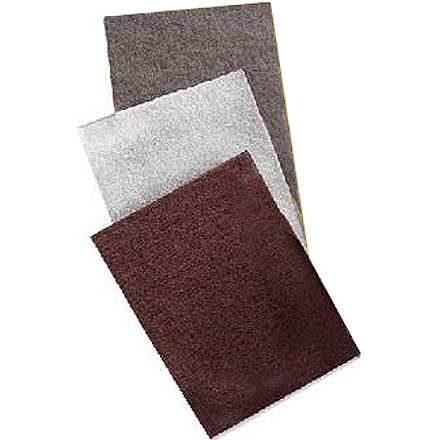 Non wove pads impregnated with resin and grain for many applications. Best for: Hand sanding on parts and rust. 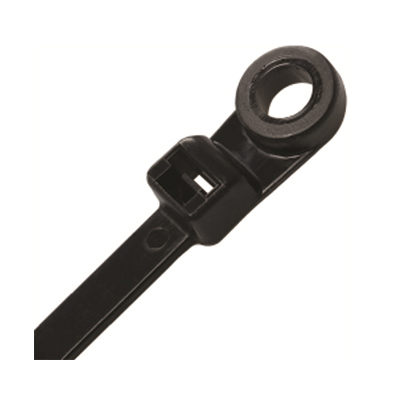 Easy to use, split loom offers excellent protection for wire, cable, tubing, hoses and other fragile surfaces. It’s light in weight, but the convoluted surface provides heavy duty protection from abrasion and pinching. You can enhance your product with uniform appearance. Split loom is slit the full length and slides easily over your assembly. POLYETHYLENE, usable at a maximum temperature of 200°F (93°C). BUY 1 CAN GET 1 CAN FREE! Removes oil, grease, brake fluid and contaminants quickly and with no residue. For use on all ABS, disc and drum brakes. For sale in areas that restrict the VOC content of consumer products to 45%. Flammable. Twelve (12) 14oz Aerosol cans per case. 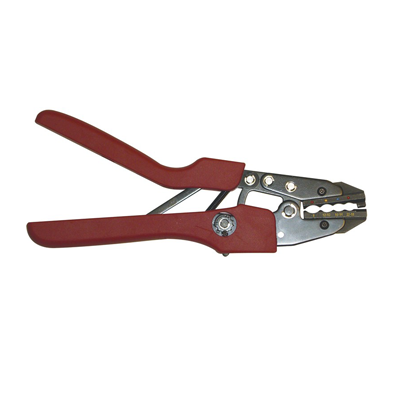 Penetrates quickly to loosen and clean away varnish, oil and gum. Has fast cleaning action plus a powerful spray to flush away residue. Dries fast and may be used on cold, hot or running engines. Excellent general purpose cleaner. Oxygen Sensor safe. Flammable. VOC-COMPLIANT. Twelve (12) 12.5oz Aerosol cans per case.12. drums, rotors, master and wheel cylinders, shoes and linings, pads, hardware, back plates, linkages and calipers. Safe for use on aluminum. Does not contain chlorinated solvents. Flammable. Helps remove varnish, gum, sludge and other deposits in minutes. Improves performance. 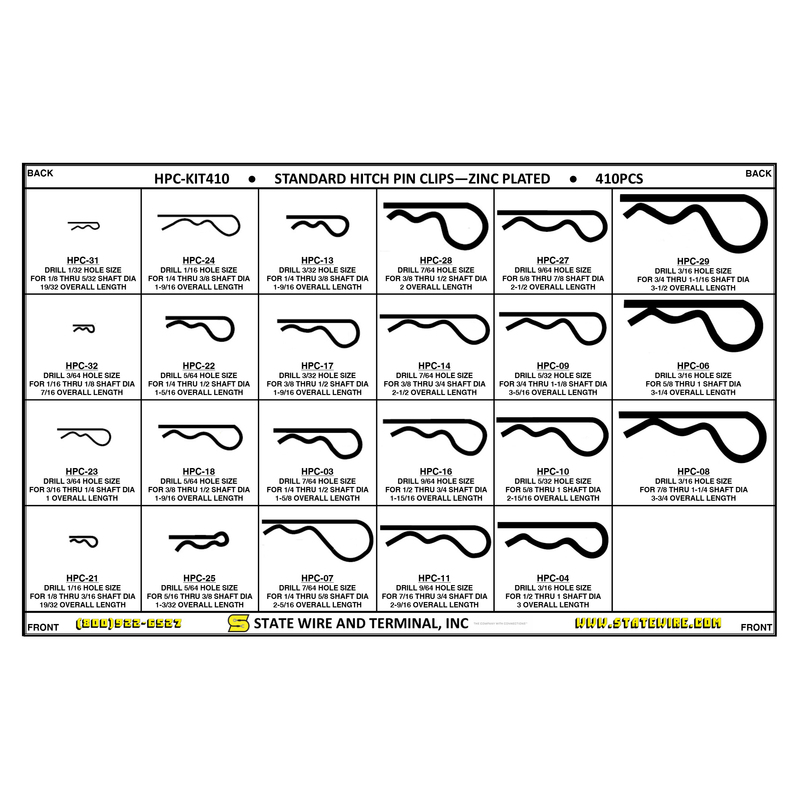 Use on carburetors, automatic chokes, PCV systems, throttle bodies and heat risers. Contains no CFCs. Oxygen sensor safe. Flammable. 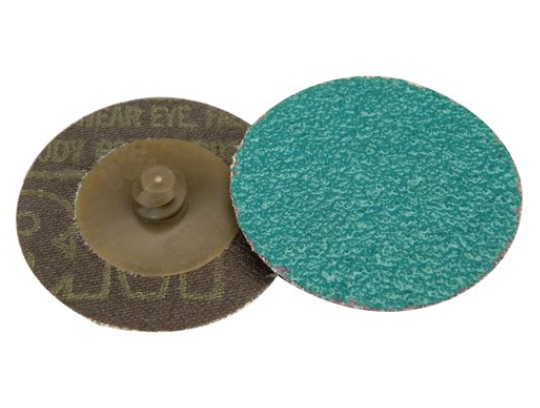 All purpose quick change discs for grinding welds or any other type of metal grinding. Quick ½ turn on, ½ turn off speeds disc changing. New and innovative items currently IN STOCK! Contact us today for pricing.